Cucumbers belong to the same plant family as Watermelons and Pumpkins and are 95% water which can help you stay hydrated. However, cucumbers are also packed full of natural nutrients that can have amazing health benefits for your body. Health benefits include supporting eye health, controlling blood pressure levels, detoxifying the body, enhancing the skin and supporting digestion. Because cucumbers are 95% water, this helps moisturise the skin around your eyes. Eating cucumbers on a regular basis will help collagen production in the body which acts as natural anti-wrinkle agent for your skin. It also contains high amounts of antioxidants and anti-inflammatory nutrients which helps enhance your vision. Cucumbers are filled with potassium, magnesium and fibre which can be effective with maintaining a good blood pressure level which shouldn’t be high or low. It also helps keep the pressure down in the arteries by keeping them hydrated which is why cucumbers are recommended by healthcare professionals to those suffering from hypertension. Cucumbers are great with helping the liver remove toxins and impurities. Drinking beverages containing cucumber can also help speed up the detoxification process. The main health benefit of drinking cucumber water is because they are a natural diuretic which helps the body to pass toxins. Cucumber is great to use as a home remedy that you can apply to nourish the skin. Doing a natural facemask with cucumber will protect the skin from irritation, dryness, acne and have soothing affect. To have a healthy digestion system you need to consume foods that high in fibre and cucumbers are one of those foods. 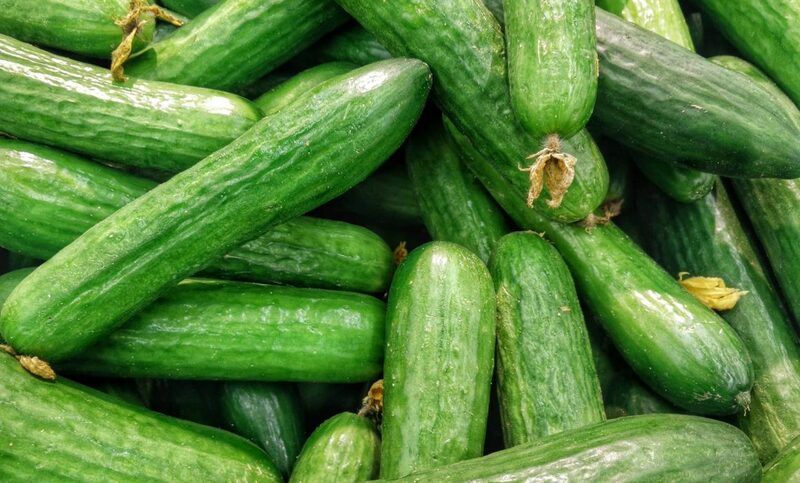 Cucumbers also contain Erepsin which is an enzyme that helps the digestion process. Here at Davin Foods, we enjoy an enviable reputation for delivering consistent quality. Cutting fresh vegetables and fruit to exacting standards is a skill, which our valuable team have in abundance. The range is extensive with every conceivable product to choose from in size, specification, and variety. We can also work with you for any particular requirement you may have. For enquiries, please get in touch.